DC comic books are flying off store shelves, but they're disappearing from Barnes & Noble for a totally different reason. DC comic books may be selling like hotcakes right now, but there's one place where they won't be sold for much longer: retail chain Barnes & Noble. The book seller has announced that it won't be stocking physical copies of DC graphic novels any longer. The reason? DC is exclusively selling digital copies of its comics on Amazon's new Kindle Fire tablet. DC recently gave Amazon a four-month-long exclusivity deal to sell graphic novels on the Kindle Fire; the deal is set to go into effect on November 15th. Unsurprisingly, Barnes & Noble is not happy about this, and is citing its policy to not sell books that are available in digital formats that exclude its Nook e-reader. 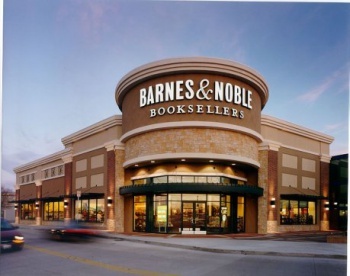 The company's chief merchant Jaime Carey explained: "We will not stock physical books in our stores if we are not offered the available digital format. To sell and promote the physical book in our store showrooms and not have the ebook available for sale would undermine our promise to Barnes & Noble customers to make available any book, anywhere, anytime." However, just because the comics are being taken out of the physical stores doesn't mean people can't buy them from Barnes & Noble, as they'll still be sold through the retailer's website. DC, in turn, pointed out that that the digital comics will be available on any device that's compatible with Amazon's Kindle app. "We are disappointed that Barnes & Noble has made the decision to remove these books off their shelves and make them unavailable to their customers," a DC spokesperson said. How did DC think Barnes & Noble was going to react to this situation? I can totally understand why the retail giant is upset about this deal between Amazon and DC, as it means a huge loss of potential revenue. At the same time, pulling the physical comics from store shelves while still selling them online seems like a response that is simultaneously petty and pointless.